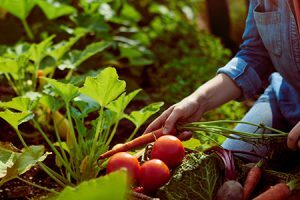 CommunauTerre is an urban agriculture project developed by two Quebec teachers who wanted to introduce their students to healthy eating habits in a hands-on way and raise their awareness of environmental issues. 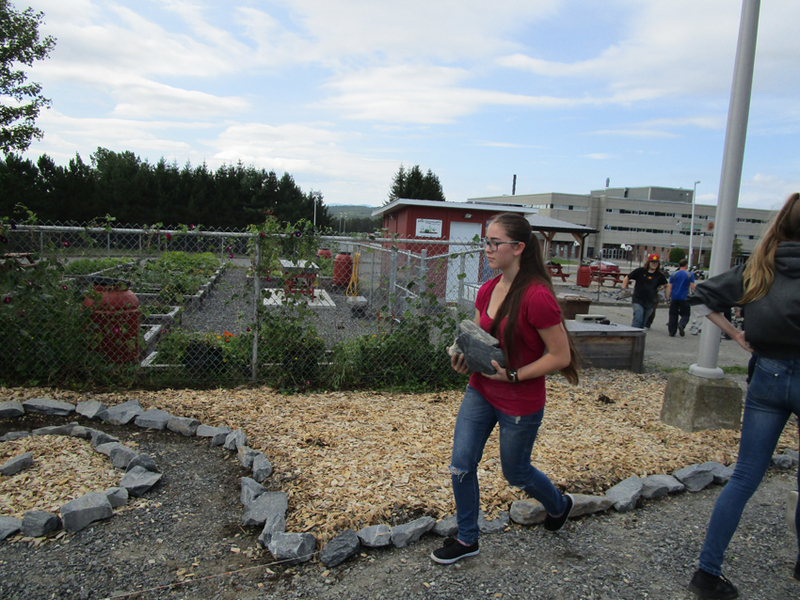 At the start of the 2016 school year, Chantal Lessard and Étienne Breton decided to plant a vegetable garden with their students. It was such a success, they decided to create an edible forest the following year. Let’s take a look at their inspiring story. In a few months, the land tucked behind the school parking lot was transformed into a well-organized vegetable garden. “Over 200 students worked hard to make it happen,” says CommunauTerre co-founder Étienne Breton. “Right from the start, the goal was to create a sustainable garden that would involve as little maintenance as possible.” As well as growing vegetables and herbs, the students built a shed equipped with a solar system to power the water pump.” The following September, turnips, tomatoes, cucumbers, zucchini and carrots from the garden featured on the cafeteria menu. “Dishes made with produce from the garden are clearly identified so students can follow the journey from garden to plate,” says Étienne. 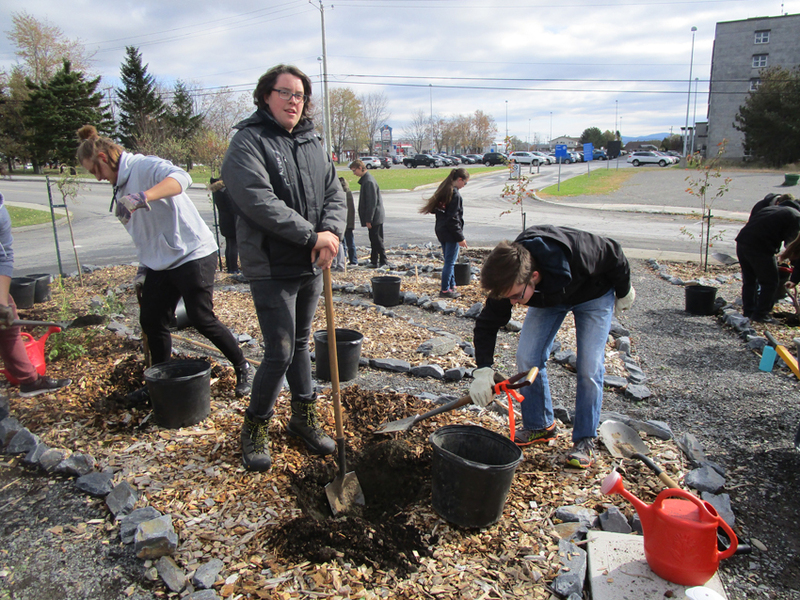 In September 2017, the teachers decided to take their urban agriculture project a step further and create the first edible forest in Lac-Mégantic. 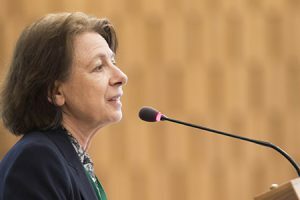 Once again, they planned to adopt sustainable agricultural practices and keep maintenance to a minimum. Permaculture was clearly the way to go. First, the students prepared the site, helping to excavate the land, create paths and spread organic topsoil. In autumn 2018, it was time to start planting. The edible forest has apple, plum, pear and cherry trees, as well as blackberry, blueberry and raspberry bushes. To encourage pollination and attract birds, there are also caragana and serviceberry trees. Overall, 150 young fruit trees and bushes are growing together here. Over 100 students were involved at every stage of the edible forest project, from drawing up a land use plan to preparing the land and planting. And they’re still involved today. “At the moment, a group of students are installing tanks and pumps. We’re hoping to collect rainwater and use it for watering,” says Étienne. The fruit will be picked before they’re ripe so the tree roots can take hold deep in the soil. There’ll be no harvest the first year, but the students and teachers are looking forward to seeing the trees flower in spring—a tangible sign of the work done. 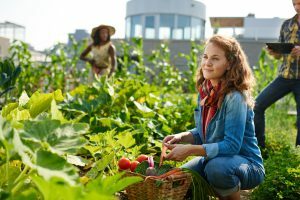 Next summer, the local Coopérative jeunesse de services [Youth services coop] will take care of watering, harvesting and selling the produce in public markets. Anything left over will be given to those most in need through community organizations or put in community fridges. “This urban agriculture project teaches students to leave a positive mark at school—a mark that their own children will see one day,” says Étienne. Be ready to invest for the long term. Surround yourself with people who believe in the project: management, other teachers, students and support workers. Have various manual skills or be keen to learn some. Take the time to complete grant applications because there are lots available. The first grant is often the hardest to get. Don’t try to get everything done in the first year. This will give you time to make the best long-term choices. 100° is the reference for healthy living in Quebec.